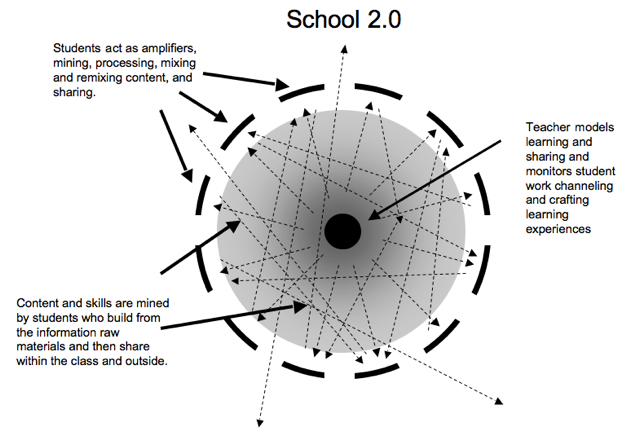 David Warlick has had a few posts over the past week about the transition to 'School 2.0.' The most recent post is about the issue of being 'rigid vs. flexible.' Steve Hargadon started a Google Group on 'School 2.0.' which I joined, but there hasn't been much activity on the group. Not that anything in this post is new, but it is just a slightly different way at looking at the same set of information. I want to see the conversation expand to include more voices, which will give the depth and width to the process that is necessary to make the necessary changes happen.